She is known for shocking when it comes to her red carpet appearances, and this year’s Grammy Awards was no exception. 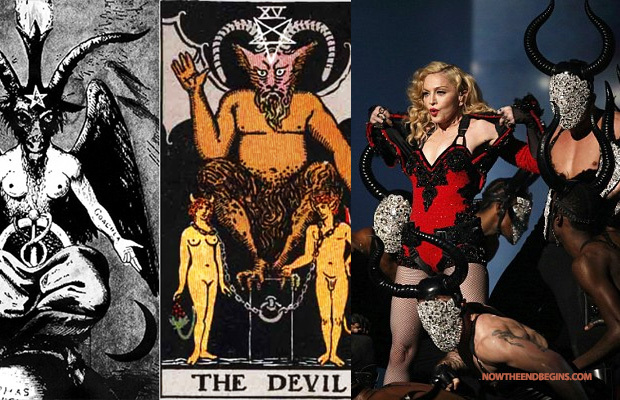 One of the highlights of the 2015 Grammys was Madonna, dressed with red devil’s horns, and hanging over a pit of demons. Letting her hair down, the Like A Virgin star strutted and danced her way across the stage in the red one piece. In true Madonna style, she was surrounded by scantily-clad masked men – her demons. The demons leaped and pulsated around their matador master – and even simulated sexual acts with her – as she belted out the dance music infused track. It looks like Hollywood’s fascination with demons and darkness is not going to end anytime soon.